It is one board from the kits family. Check out my store to see the full range. It's not using a self-flashing LED but old good astable multivibrator. It's a nice piece of old fashion technology. 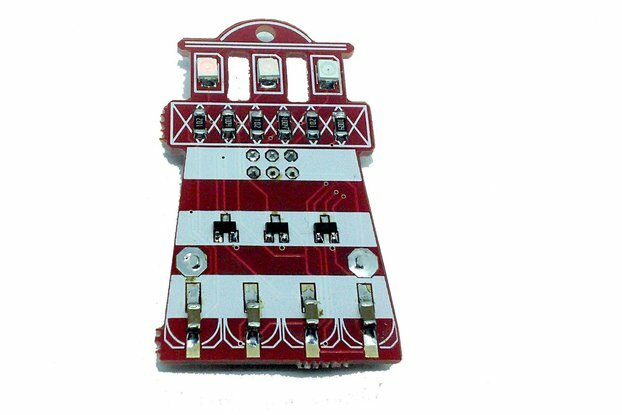 1206 components are easy to solder for beginners. 3528 LEDs are also easy to solder.